Read the latest news and updates from MIP Diagnostics in our March newsletter. MIP Diagnostics Ltd today announces the grant of a patent for the Preparation of Molecularly Imprinted Polymers by the United States Patent and Trademark Office (USPTO). Introducing another member of our talented team in our Spotlight On feature. This month meet Dr Joanna Czulak. NanoMIPs developed by MIP Diagnostics in collaboration with the University of Leicester have demonstrated their ability to target senescent cells, both in vitro and vivo. Such nanoMIPs were made to recognise one of the proteins abundant in on the surface of old cells and then tagged with a fluorescent molecule to aid in their detection. Also, these nanoMIPs were loaded with senolytic drugs and were able to selectively kill senescent cells. We are so pleased to have been awarded 2019's Most Innovative Biotechnology Firm - United Kingdom by CV Magazine's Corporate Excellence Awards! Read the latest news and updates from MIP Diagnostics in our February newsletter. Find out more about our exceptional team, in our Spotlight On feature. This month meet Dr Andy Lakey. SelectScience editors reflect on the most exciting technologies showcased at the 2019 Society for Laboratory Automation and Screening conference and we are mentioned for our new Epitope Mapping Service. A visit to the stratosphere demonstrates the exceptional robustness of MIPs which retain their function on return to earth. This was debuted at our Seminar in September 2018. A Novel Assay Format as an Alternative to ELISA: MINA Test for Biotin – Is a published paper in ChemNanoMat with contributions made by Joanna Czulak of MIP Diagnostics, alongside colleagues at The University of Leicester and Imperial College London. Novel assay format for proteins based on magnetic molecularly imprinted polymer nanoparticles—detection of pepsin is a published paper in the Journal of Chinese Advanced Materials Society, with contributions made by Joanna Czulak, Antonio Guerreiro and Francesco Canfarotta from MIP Diagnostics, alongside colleagues at The University of Leicester. Join us for a day of presentations, networking, and discussions with key opinion leaders in the field of imprinted polymers and sensors. 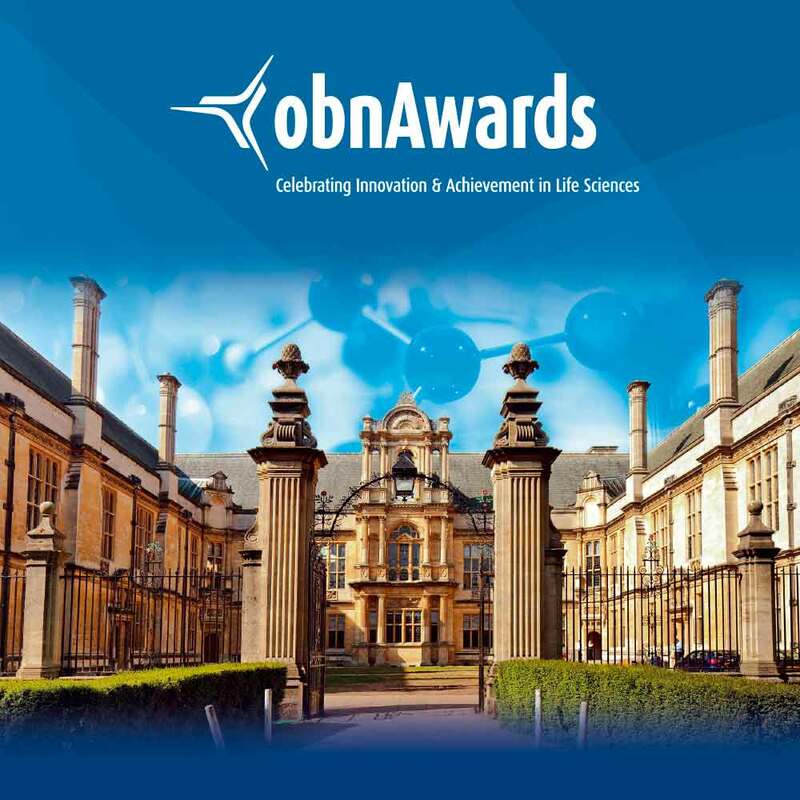 MIP Diagnostics are proud to be shortlisted as finalists at the OBN Awards in October. Dr Andrew Lakey brings his experience of developing point of care immunodiagnostics platforms to MIP Diagnostics, as a Senior Scientist. MIP Diagnostics have produced a new flyer featuring MIP technology and applications. MIP Diagnostics Ltd is pleased to announce that Alan Thomson has joined the company to lead the diagnostics development work. MIP Diagnostics Ltd has moved from the founding laboratory at the University of Leicester, to new labs and offices at Colworth Park in Sharnbrook, Bedfordshire. A Midlands-based life sciences company which develops ‘plastic antibodies’ has closed a £1.5m Series A funding round supported by Mercia Fund Managers and a number of private investors. To further support its plans for expansion, MIP Diagnostics has appointed Jim Reid as chair to provide valuable commercial expertise. NanoMIPs are, as the name suggests, nanostructured polymer particles typically containing a single binding site for their target. MIPs are a proven alternative to antibodies and offer many advantages over antibodies. They can also be fused to solid substrates, such as sensor surfaces, if required. Our proprietary technology includes a novel method to make nanoMIPs offering partners new IP opportunities. The robust nature of MIPs and nanoMIPs make them ideal reagents for a wide range of applications including point-of-care diagnostics and in field-based testing. As they are synthetic polymers, MIPs can withstand harsh chemical environments such as extremes of pH, seawater, or high concentrations of organic solvents. In addition, MIPs have a very long shelf life, even at room temperature, which provides significant economic benefits and makes them ideal when cold chain environments cannot be guaranteed. US 10,189,934 B2 describes a polymerization process, typically a living radical polymerisation process, that is carried out in the presence of the template or target molecule, to produce molecularly imprinted polymers ("MIPs"). It is controlled so that the products are quite small so that they are soluble or form colloidal suspensions and typically contain just one imprint of, or binding site for, the target. The template substances, immobilized on the solid support, can often be re-used, further improving the efficiency of the process. MIPs have broad application as affinity reagents in; diagnostics, sensing, purification, separation and nalysis, and have been successfully created and deployed against all major target classes including peptides, proteins and other macromolecular structures, as well as smaller chemical entities such as drugs, their metabolites and commonly used biochemical species such as enzyme cofactors. MIPs are synthesized in a laboratory and can be created in days. They are more cost-effective and much more stable than antibodies and other biologically-based affinity reagents, with a longer shelf-life and can be used in conditions where antibodies are unable to function. I am playing all day with a magical Play-doh, that I shape into superheros who fight diseases. Imagine that each disease has a different shape, like stomach pain can look like a triangle. I build a shape out of Play-doh around the triangle and put some magical ingredients inside, so later that magical Play-doh always recognises the shape of the stomach pain and can fight it like a superhero does, to make a World better place. Understanding my self-worth on both professional and personal level. What’s the most recent app you’ve downloaded but are yet to use? If I had a knowledge and the experience I would like to be a neurosurgeon. Being a surgeon and being able to work with one of the most amazing parts in our bodies was always my dream. This is the first targeted nanoparticle designed against old cells and has the potential to be used as a diagnostic and therapeutic tool in humans. Furthermore, thanks to the generic nature of the proprietary imprinting process used in this research, MIP Diagnostics can offer the possibility to design custom-made nanoMIPs against other clinically relevant targets. ‘Detecting and targeting senescent cells using molecularly imprinted nanoparticles’ is available to read online now. We are pleased to present the first successful use of molecularly imprinted nanoparticles for the degradation of N-L-hexanoyl homoserine lactone, a Gram-negative quorum sensing autoinducer. The presented work is a promising new technology that will help to fight bacteria without the risk of developing resistance, especially in the times when the effectiveness of antibiotics has been declining dramatically. Work is presented in Application of molecularly imprinted polymer nanoparticles for degradation of the bacterial autoinducer N-hexanoyl homoserine lactone and published in the Chemical Communications, with contributions made by Joanna Czulak from MIP Diagnostics, alongside colleagues at The University of Leicester. My daughter mainly when she starts crying, seriously though my goal is to provide her the best opportunity in life the way my parents did for me so that is my main motivator. I help develop tests to identify when a person is poorly and what is making them poorly. Personal achievement is the birth of my baby girl, professional achievement would probably be the completion of my PhD. Wake up around half 6 (depending on my daughter), get her dressed and help my wife load the car in the morning for the daily drop off. Get ready and leave the house around 7:50 arriving at work for 8:30ish. When I get to work, I usually load the computer up, make a coffee and check emails before heading into the lab to do prep work for the day (making buffers etc). Then it’s a mix of office work (SOP writing, answering emails, writing lab book) and running lab work. Have lunch around 12. Before heading back into the lab to finish off any experiments that are running, usually heading home around 4:30. Interesting – this is a new technology for me so there is a lot of learning, Challenging – as a new technology there are a lot of unknowns so lots of opportunities to challenge you and your thinking, Exciting – because of the potential of this technology to have a huge impact in the sector. Before I went into science I dreamed of being an animator working for giants like Disney, so I would probably swap jobs with an animator working for Disney or big Hollywood productions. I like the problem solving aspect, there’s no better feeling than overcoming a challenging problem, the harder and more frustrating the challenge the better the feeling once you crack it. Not really a personal mantra but I like the quote “Aim for the moon, even if you miss you will land amongst the stars” – I like this because as a scientist you are always working towards achieving your goal/objective for a given project, however science can be a fickle so even if you don’t achieve your goal you will have developed new knowledge and learning as a result of the journey and as a result you are in a better place than before, I think that is important lesson to remember. “Do or do not, there is no try” – Yoda, The Empire Strikes Back. Adrian Kinkaid at SLAS2019 in Washington. SelectScience editors reflect on the most exciting technologies showcased at the 2019 Society for Laboratory Automation and Screening conference and have mentioned MIP Diagnostics for our Epitope Mapping by Molecular Imprinting service. We pre-launched this new service at SLAS2019 last week. Our innovative approach involves synthesis of MIP (Molecularly Imprinted Polymer) nanoparticles in the presence of whole protein, partial proteolysis of the protein bound to MIP, and subsequent sequencing of released peptides that were bound to the polymer. The important concept behind this approach is that MIPs synthesised in the presence of protein protect peptide sequences involved in MIP formation from proteolysis. Read more about our Epitope Mapping. Read the full SelectScience article. Abstract: Molecularly imprinted polymers (MIPs) were produced against trypsin and tagged with DyLight 800 fluorescent dyes. Trypsin was immobilised by spotting onto nitrocellulose at various concentrations. The trypsin was then probed with MIPs, before fluorescent images were obtained. 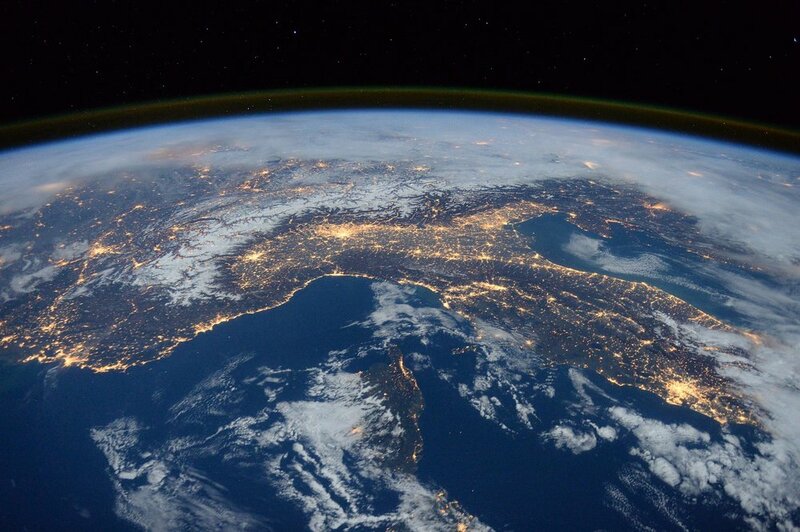 Detection of trypsin was compare before and after the sample was sent to the stratosphere and exposed to extreme atmospheric conditions. Find out more and download our pdf. Work is presented in Novel assay format for proteins based on magnetic molecularly imprinted polymer nanoparticles—detection of pepsin and published in the Journal of Chinese Advanced Materials Society, with contributions made by Joanna Czulak, Antonio Guerreiro and Francesco Canfarotta from MIP Diagnostics, alongside colleagues at The University of Leicester. We are happy to present a novel and fully abiotic assay format (MINA) based on biotin-specific fluorescent molecularly imprinted nanoparticles (nanoMIPs). Such fluorescent nanoMIPs can act as both reporter probes and binding agents and can be developed for any molecule of interest: from small entities to peptides and proteins. This is a first report of an assay which, unlike ELISA, requires no washing steps or addition of enzyme substrates, making it more user-friendly. Work is presented in A Novel Assay Format as an Alternative to ELISA: MINA Test for Biotin and published in ChemNanoMat with contributions made by Joanna Czulak of MIP Diagnostics, alongside colleagues at The University of Leicester and Imperial College London. MIP Diagnostics are proud to be shortlisted as finalists at the OBN Awards in October, in the “Bioseed One to watch category”. Dr John Harris, CEO of OBN (UK) said: “We received the highest number of qualifying entries for the OBN Awards this year, up a staggering 40% on last year’s total. The standard of entries across all categories was extremely high and we are encouraged about the level of exciting new innovation and positive growth we are seeing in UK Life Sciences. We look forward to celebrating with all our finalists on 11 October at the Examination Schools in Oxford.” https://lnkd.in/eu_EkQh. MIP Diagnostics Ltd is pleased to announce that Alan Thomson has joined the company to lead the diagnostic development work, with a focus on the in house licensing projects. Alan has over 20 years of experience in the diagnostics industry, having worked for Axis-Shield, Unilever, Unipath and Alere (formerly Inverness Medical) in his career. His roles have involved managing fundamental research, technical scouting, product launch and manufacturing, and on-market support for a number of diagnostic products. 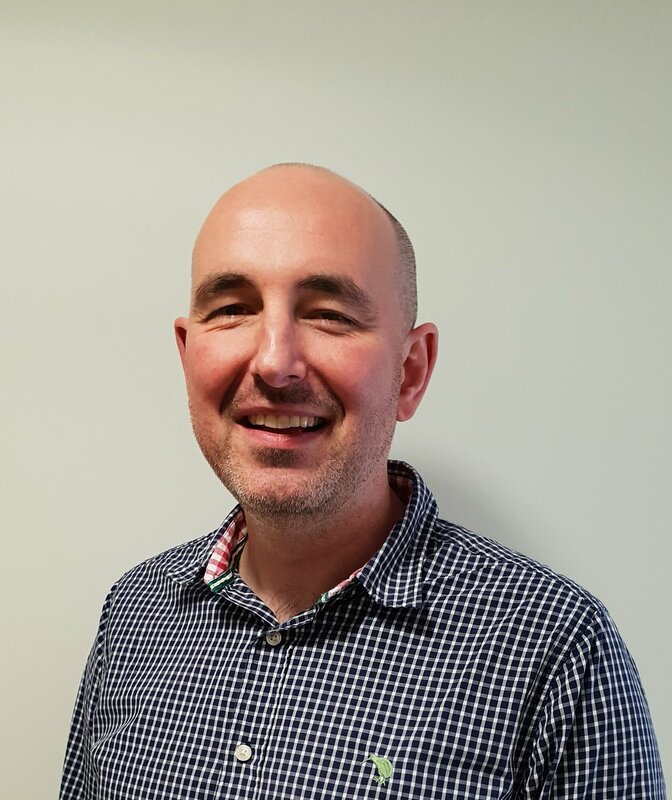 Alan has extensive experience of all aspects of the product launch cycle, including taking the Alere HeartCheck product from the patent stage as an inventor to full market launch with CE Marking and ISO Accreditation. Alan’s most recent position prior to joining MIP was as Technical Director of Relitect Limited, a start-up company spun out of the University of Leeds. In that position he led the research and development, established premises, recruited the technical team, set up the company infrastructure and was instrumental in securing over £2M in funding. Colworth Park has been a centre of excellence for industrial research for over 60 years, and has a long history of diagnostics development. 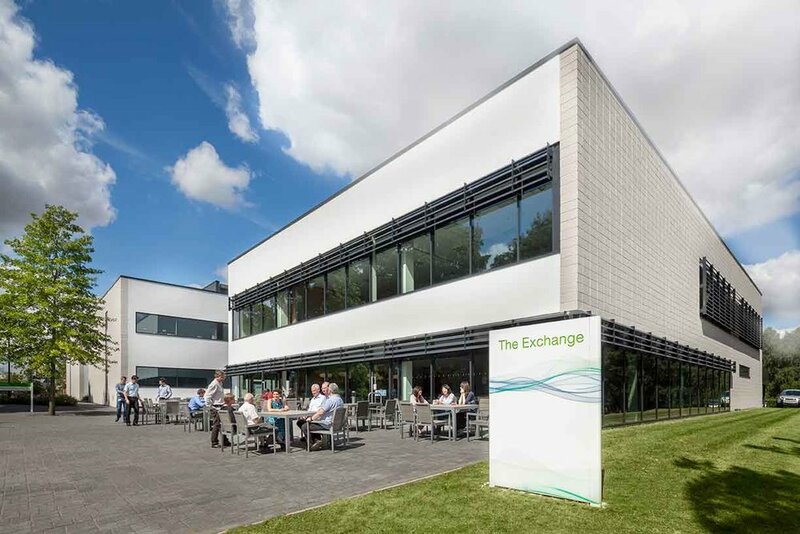 Being based at Colworth allows MIP Diagnostics to take advantage of the excellent corporate infrastructure that is available at the Park, and allows employees to network with other scientists on site, as well as collaborate with academics from the nearby Oxford, Cambridge, Cranfield, Nottingham and Leicester Universities. The move has provided space for on-site chemical synthesis, as well as characterization/application work, and MIP Diagnostics have been setting up their own surface plasma resonance platform to aid their progress. “It is important to have space for further expansion, given the myriad opportunities presented by our core technology”. Adrian Kinkaid, MIP Diagnostics Ltd CEO. Jim has extensive experience in the diagnostics marketplace and is world-renowned in the life sciences sector. He was the winner of the Ernst & Young Entrepreneur of the Year for Science and Technology for both Scotland and the UK in 2005, and he has previously worked for blue-chip organisations including Organon, Roche and Trinity Biotech. “We are pleased to support MIP Diagnostics with its next stage of development, and we are absolutely delighted to see Jim on board to help drive the company forward with his impressive background and expertise.